George D Munro died at Ornum Lybster 10th April 1931 aged 53. Wife Jessie H R Cormack died 15th November 1974 aged 90. 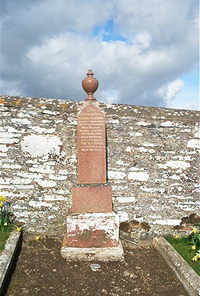 Erected by the widow and family.